Bitcoin is the first decentralized digital currency system that works without a central bank or administration. Instead, the peer-to-peer network enables the transactions to take place directly, without an intermediary.When it was first introduced in 2009, people were not sure whether to accept it or not. But with time, Bitcoin is taking over as the most common and well known form of digital currency. Most of the large businesses are now allowing their online customers to purchase products with bitcoins. Being private and untraceable, people have opted to use it to buy items they wouldn’t want to reflect on credit cards. 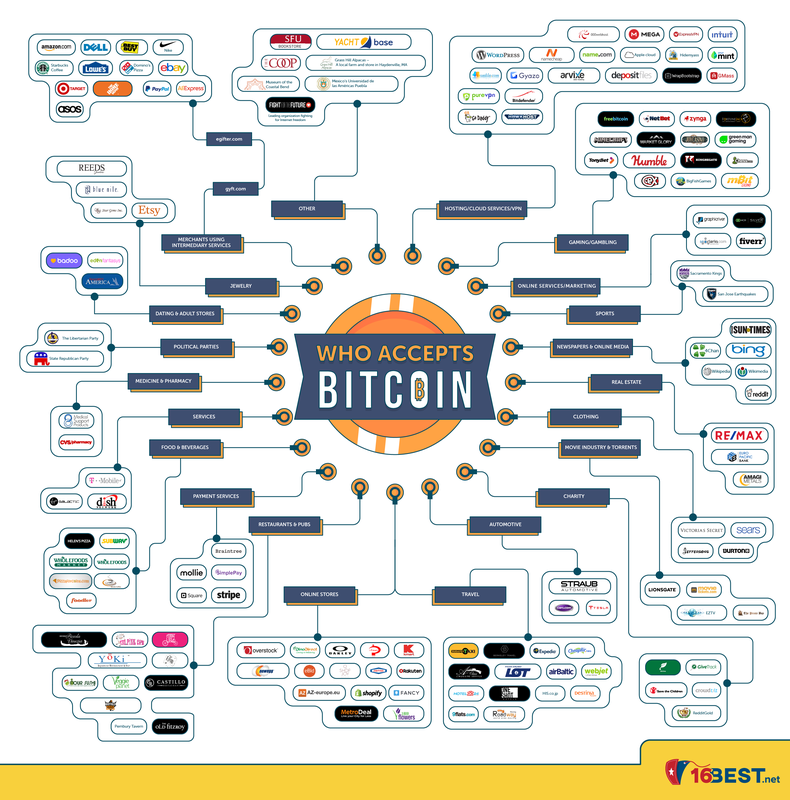 The following companies accept Bitcoin as a mode of payment. Rakuten started investing in cryptocurrency years ago, and back in 2015 they actually went as far as to offer a 30% off to anyone using Bitcoin to purchase their products. Word has it that they’re even starting to develop their own cryptocurrency, affectionately named Rakuten coin. If the store you go to does not accept Bitcoin, eGifter gives you a chance to use your crypto-funded gift card. eGifter allows you to purchase more than 250 gift cards to big stores such as Best Buy with Bitcoin and Target. Microsoft, one of the biggest tech giants, now allows its users to buy goods in the Windows online stores and Xbox with bitcoins. Craigslist has added a new feature to its site to allow sellers to accept cryptocurrency for transactions. The site, however, has not indicated a way to make direct payments through the platform yet, but there has been a significant step forward in adopting this form of payment. With many companies accepting Bitcoin for transactions, smaller businesses and shops fear being left out, opting to accept this digital form of currency. It is now a norm to find printed QR codes in shops that accept Bitcoin.